Many ornamental and edible plants display dark, necrotic looking spots on their leaves. This is a symptom of bacterial leaf spot disease. Bacterial leaf spot on plants will discolor, and in extreme cases, kill leaves. Tiny, microscopic single celled organisms are what causes bacterial leaf spot. There are several methods on how to treat bacterial leaf spot and save your plant’s glorious leaves. Early identification is crucial to effective management of bacterial leaf spot disease. Bacterial leaf spot on plants may manifest in several different ways. 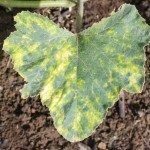 Symptoms of bacterial leaf spot may include black edged lesions, brown spots with yellow halos or just light and dark areas on the foliage. Spots are irregular and measure between 3/16 and ½ inch wide. 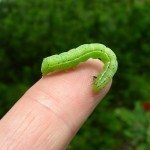 They can occur on the top or bottom of a leaf and kill sections of the tissue when they cluster together. Symptoms of bacterial leaf spot may also appear on the edges of a leaf, where it appears brownish yellow and the tissue dries and breaks off. The leaves become quite papery and delicate when the bacterial disease attacks leaf edges. The disease is most prevalent on older leaves but will quickly establish on newer tissue. 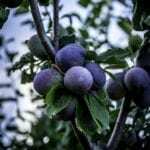 What Causes Bacterial Leaf Spot? Organisms that cannot be seen with the naked eye are the cause of this visibly damaging plant disease. Wet, cool conditions promote the formation of these bacteria, which can spread on plants quickly. The bacteria splash onto leaves or overwinter on plant debris in soil. Bacteria divide to reproduce and one bacterium can multiply quickly in just a matter of hours. Bacteria reproduce the fastest when temperatures are 77-86 F. (25-30 C.). High rates of infection will cause leaf loss and can seriously compromise a plants health. This makes the disease extremely contagious and bacterial leaf spot disease treatment extremely important. The pathogen is also carried in infected seed; however, there are some disease resistant seed strains for food crops. Additionally, choose disease free transplants, rotate crops and avoid overhead watering to prevent spreading the bacteria. In addition to the previous tips on preventing spread of the disease, you can use a copper fungicide on crops. This has limited management use unless it is applied early in the disease cycle. On ornamental plants, remove the affected leaves at the first sign to prevent the bacteria from jumping onto adjacent leaves. Some of the most common hosts are lettuce, beets, eggplant, peppers and large leaved ornamental plants, such as philodendrons. Remove old vegetable debris in the garden and do not plant new crops where host plants were once growing. 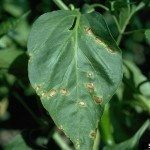 There are no recognized chemical treatments for bacterial leaf spot disease. Your best bet is prevention and mechanical control at the first sign of symptoms of bacterial leaf spot.